mi-READY: The optimal efficiency and unparalleled comfort of electrostimulation as. 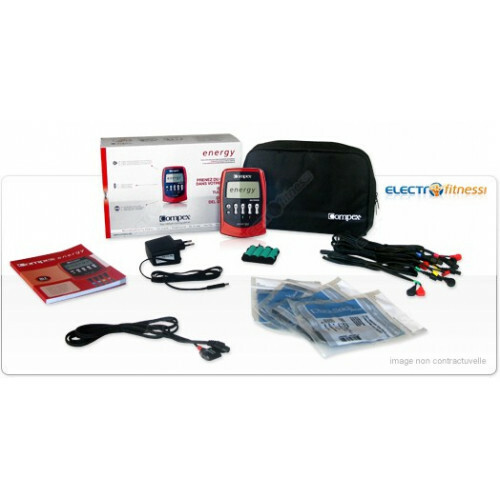 The muscle intelligence ™ technology is preinstalled on this electro. The mi-SCAN function is activated in the moment in which the mi-SENSOR is connected. Thanks to the capabilities of the muscle intelligence ™ technology preinstalled, COMPEX ENERGY mi-READY ™ has an evolutionary character. You can adapt automatically to your physiology and needs if you buy the mi-sensor. Ensures effective and secure sessions. Choice of 7 work areas for specific stimulation tailored to each part of the body. Product upgradeable using the mi-READY technology preinstalled (with purchase of mi-sensor). Functions of technology my: mi-scan. 3 levels of work to evolve and progress with each session. 3 program categories: sport, health and beauty. LCD display with backlight for easy readability in all circumstances. Connection system “Easy Snap” that connects the cable to the electrode with a simple pressure with one hand, even in the back. Button “i” increases the energy in several channels at once. Belt clip: This “hands-free” kit will let you move freely during the electro stimulation session. Use only with low-frequency or TENS programs that do not require particular restrains. “Easy SNAP” connection: This push-button system, simplifies the connection of the electrodes, in particular when reaching for the back or the neck. “i” Button: Simply press this button to increase the work intensity of the 4 channels simultaneously. Back-lit display: For easy viewing and good readability in all situations. Fast charge battery: Under 90 minutes of charging for up to 15 hours of battery life. 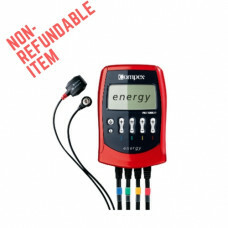 An Internet site dedicated to starting the use of your Compex Energy mi-READY device so that you can discover on line the principal functions, tips for use, all with accompanying videos.